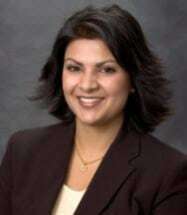 Solo Practitioner, Vandana Kamboj, received her Juris Doctorate from the University of Pacific, McGeorge School of Law, and her license to practice in California, in 2005. Ms. Kamboj graduated from San Jose State University with a B.S. in Systems Physiology and a B.S. in Administration of Justice. As an attorney, Ms. Kamboj pursued a career as an Insurance Defense Attorney/Civil Litigation Attorney for other larger firms, whereupon in 2008 she opened her own practice focusing on Personal Injury. Her experience as an insurance defense attorney provides her with an important “insider’s perspective” pursuing her clients’ personal injury claims against insurance companies. Over the last few years, Ms. Kamboj changed gears to pursue Estate Planning, an area of law she finds enriching and fulfilling. She finds a deep satisfaction in assisting growing families plan their legacy for their children as well as helping older families protecting their hard-earned assets. Ms. Kamboj is a native of Northern California who enjoys hiking in Yosemite National Park, tending to her home garden as well as the community garden she started at her local elementary school with her two young boys. She is an avid reader of historical fiction novels and loves spending time with her family and extended network of family friends. She is also an active member of the local parent teacher association which strives to build a strong local community.